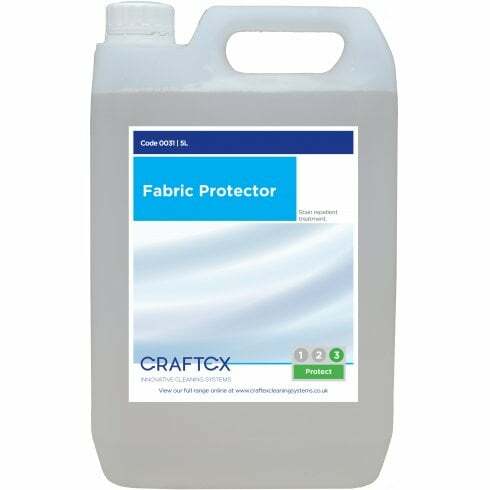 Craftex Fabric Protector is an excellent, highly effective, odourless, solvent based fluorochemical fabric protector for new and dry cleaned upholstery fabrics etc. 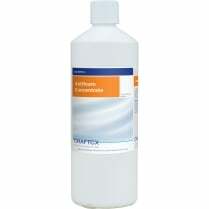 For spray application to resist dirt and stains. Ready to use. 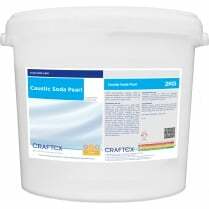 Surfaces should be clean and dry before use. 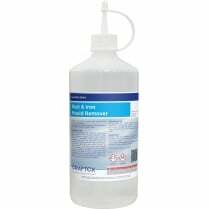 Can be applied directly after dry cleaning (in some cases can be used immediately after wet cleaning). 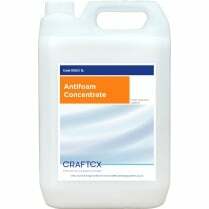 Apply through a sprayer fitted with Viton (solvent resistant) seals and fine mist nozzle or jet. 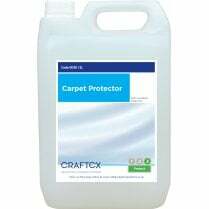 Spray onto surface until wetted. Do not overwet. 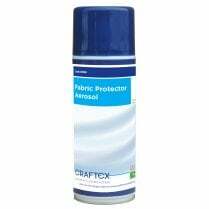 The area must be well ventilated until fully dry.